Interested in Attending #PEInstitute18 this Summer? If so, please read on! National Elementary PE Teacher of the Year, John Smith! National Middle School PE Teacher of the Year, Chip Candy! National High School PE Teacher of the Year, Charla Krahnke! National Adapted PE Teacher of the Year, Lara Brickhouse! Master PE Teacher, Jim DeLine! While individuals are free to choose from the wide variety of lodging options that can be found in Asheville, we have secured the Crowne Plaza Resort Asheville as this year's primary hotel. 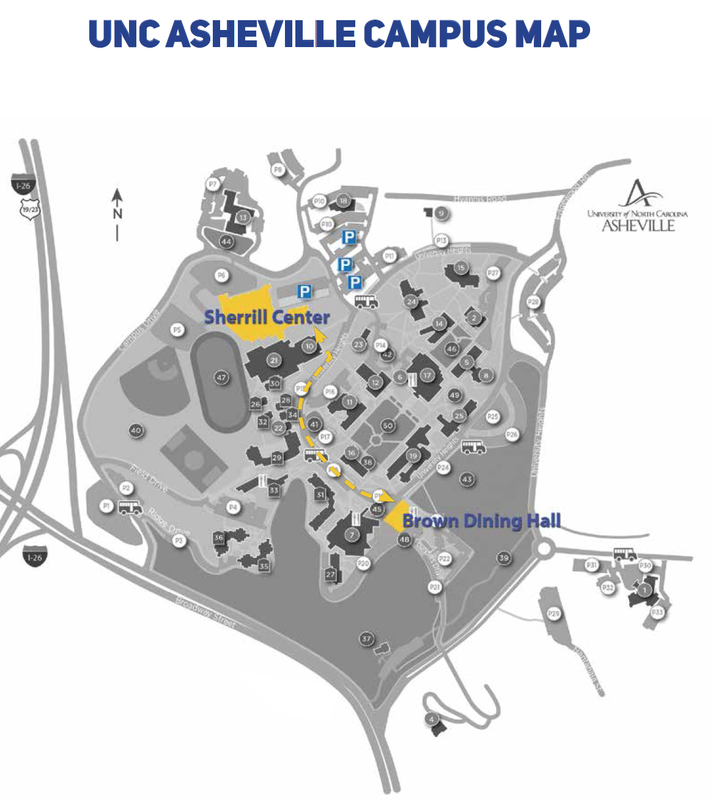 As such, attendees can use the hotel's shuttle service to/from the UNC Asheville campus for just $5 a day. Please reserve your spot for the shuttle when checking in. Also, the #PEInstitute18 staff and the keynoters will be staying at the Crowne Plaza Resort which provides numerous opportunities to interact with them during off-Institute hours. Hotel Rates are $146/night for two queens; $156/night for a king, not including taxes. For Reservations please call 844- 330-0296 (24/7) and ask for the "2018 National PE Institute" Group Rate. Sunday Night "Meet & Greet" Activity & Dance Social. Please join us for a fun time of gathering together. A terrific opportunity to meet your fellow participants, learn more about #PEInstitute18, and see all of the terrific breakout session speakers and keynoters! A delightful way to start off your Institute experience. Sponsored by PLAY Education and DANCEPL3Y! The 2018 National Physical Education & School Sport Institute is being brought to you by "Artie & Friends," a dedicated group of fun-seeking physical education colleagues. Several of us are in our "twilight years" (Read "older than dirt"), but still dreaming and thinking about what K-12 physical educaton can be in the future! Please consider joining us this summer in Asheville, North Carolina. Let the fun learning begin!! The breakout sessions and the keynotes will take place on the campus of UNC Asheville in the Sherrill Center-Kimmel Arena Complex. Currently, the #PEInstitute18 program is about 50% complete as we are holding breakout slots for our 30 or so exhibitors. When it is completed, we will have approximately 80 different breakouts awaiting you this year! "bRING It!" is an interactive activity session that will focus on a variety of activities using different types of "rings" (hula hoops, deck rings, etc…) in a 3rd - 8th grade physical education setting. While we will be using rings as the primary tool, this session can be further extended by using your available equipment for cooperative activities, health-related fitness, tossing, throwing, or catching skills! Come join Ami for an exciting session designed so you can "bRING" out your "A Game" for your students. John Smith's "SEL Fun (Social and Emotional Learning)"
What is Social and Emotional Learning and why is it the “Buzz Word” around the country? This will be a presentation of fun activities (emphasis on fun), that promote a “coming together,” bonding, team approach to our teaching. There is no better place to have students work together and build understanding and trust than in the Physical Education, and sport/coaching communities. Come Play! Chip is a former National Middle School PE Teacher of the Year and a recipient of the New Jersey Governor’s Award for Excellence in Teaching. His presentations are informative and entertaining, which is a direct reflection of his teaching style with his students. Mike Martinez & Gabe Ervin's "FitnessGram - Plug & Play Fun for All!" Join Gabe Ervin and Mike Martinez as they lead participants through action-packed, engaging activities designed to improve all areas of fitness for all age groups. OPEN's "Plug and Play Fitness Module" is standards-based and developed, in part, with the Cooper Institute to help students on their journey towards physical literacy and reaching healthy fitness zones. The Plug and Play activities can be used as instant activities, stand alone activities or part of an overall fitness unit. You won't want to miss this opportunity to inject fitness and fun into your curriculum! NC-APE-Advisory Council's "Meaningful Activities for Students with Multiple and/or Severe Disablities"
This session is presented by the North Carolina Adapted Physical Education Advisory Council with assistance from Jolanda Hengstman, Megan Davis, Ann Hughes, and Teresa Hudson. This activity session will provide examples of meaningful ideas and strategies based on age-appropriate and sport-related activities. For example, we will be re-thinking activities for intent and value, incorporating differentiated instruction in the general physical education classes, and develop strategies to use in your own teaching situation as to facilitate learning for all students! Jerry Honeycutt's "Creating a High School Championship Physical Education Program"
Learn how a new Department Chair created a "Championship" caliber high school physical education program from scratch. See how to implement a renewed commitment starting from greetings with a fist bump, cues to getting your students' attention, academic language word of the day, GOTCHA form (document physical activity outside of school), HOPE Friday PE club for entire student body (bring food donations to gym for local food bank and participate in Choice physical activity), and FLEX time. Also: Literacy (Activinspire flip charts for note taking on all sport activities), technology and assessments (Socrative cognitive tests on Chromebooks and Peer IPAD motor skills evaluations). Larry McDonald's "What's Your Leadership Style?" "What's Your Leadership Style?" is a fun session designed to help you discover how to best work with individuals of all types. For example, do you have a person a work who just "bugs you to death?," or have an over-demanding boss, or just don't quite know how to handle overwhelming situations with perspective? Well then, this session may be just what you need to breakout of these stalemate situations! The session will be led by Larry McDonald, a time-tested PE teacher, coach, principal, central office, and Department of Education guru. Verneda Edwards' "What Did They Learn Today? Using Technology to Monitor Learning"
Are you struggling to use technology effectively to assess students during the learning process? Want to get away from paper and pencil tests? As districts invest in more technology and time continues to be a commodity, come join this discussion about apps and tools that can help you meet your need to assess learners in an efficient and effective manner. Session will provide a quick review of the types of assessments that support learning (formative, interim, summative). Session will review several online tools that can be used to assess students. Charla Kranke's "OPEN To All: Pickleminton/Badminton Modules"
Come to this session ready to move and celebrate the joy of teaching physical education. Leave with a wide-variety of activity ideas that span all grade levels. These modules provide a developmentally appropriate lead-up to net games. The Online Physical Education Network (OPENphysed.org) is a free resource that is everything described in the title of this session and more. Join the OPEN movement and celebrate our profession. 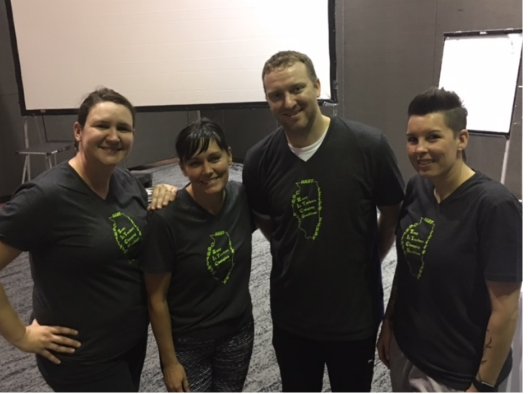 Illinois Fab 4's "Muscles and Bones: Elementary #PhysEd Style"
Meet the Illinois Fab 4! Come and see some new and creative ways to teach your elementary students the muscles and bones of the body. We have some rhythms to learn and a few great movement activities that will keep their bodies moving. You are sure to take away ideas that you will want to incorporate into your robust physical education curriculum! See all of our fabulous activities at our website: https://sites.google.com/view/illinoisfab4/home and email us at illinoisfab4@gmail.com !!!! Tracy Lockwood's "Superheroes of Physical Literacy Dance Party"
○ Free Printable Posters for Your Gym! In general, we will also discuss a variety of PhysEd Philosophies and mindset hacks that will help "flip your thinking" and amp up your teaching! Dr. Kymm Ballard's "The Leadership Track"
Would you like to network and learn from your fellow physical education leaders? Are you responsible for your school's, district's or state's leadership for K-12 Physical Education? 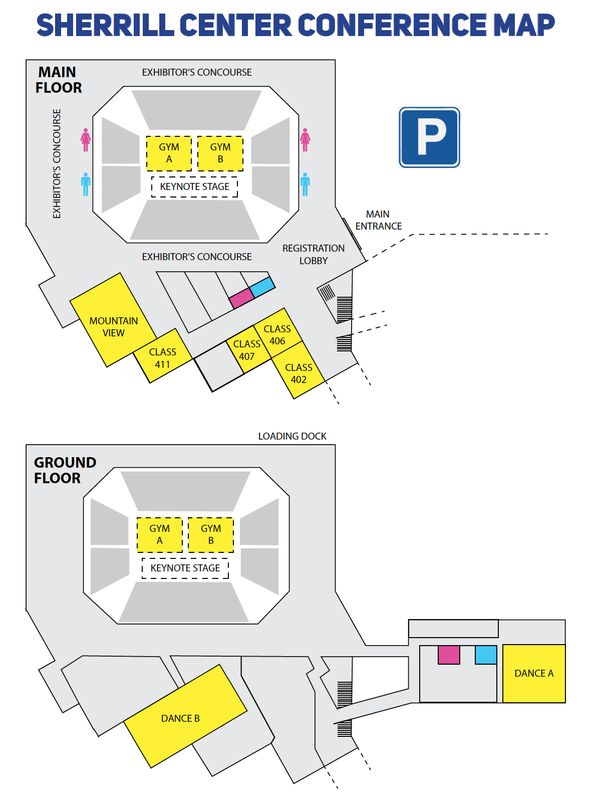 This special block will be used for networking, problem-solving, curriculum sharing, and other assorted topics. This group will meet daily. Lauren Lieberman's "Sign It: Sign Language for Physical Education"
Come to this interactive session to learn many of the basic signs used in physical education. Most children who are Deaf or hard-of-hearing are now included in their local schools. Some come with interpreters and some do not. See how sign language can enhance your lessons as signing is visual, fun, and memorable. Additional resources such as books, videos, and apps will be shared as well. Mark & Becky Foellmer's "Got Chromebooks? Infuse Tech into Your Health and PE Classroom." Explore tons of apps, extensions, and sites available on Chromebooks or other devices! We'll also share our Idea Tanks for Health, and Elem., MS, & HS PE where you'll find ready to use workouts, warmups, and lessons that combine those apps, extensions and sites with Google Classroom & G-Suite to address the 4 C's (Communication, Collaboration, Critical Thinking and Creativity). If you have a projector, we have a gold mine of resources for you to put to use in your gym and/or classroom. Come see how you can put technology to work to help improve student learning in your Physical Education and Health classrooms. Passionate about Physical Education and Wellness. I love putting technology to work to improve student learning in all subjects. And, I particularly love exploring the possibilities in Health and Physical Education! Charla Krahnke's "OPEN The Possibilities: Roundnet/Spikeball: OPENphysed.org"
Attend this session ready to be actively engaged in middle and high school activities aligned with SHAPE America’s National Standards & Grade-Level Outcomes. Discover fun and easy methods to promote best practices and high quality physical education utilizing a free curriculum resource (OPENphysed.org). OPEN lessons incorporate content language, depth of knowledge questioning, and strategies for academic rigor. Dave Senecal's "Innovative Dance – New Ways to Teach the Most Dreaded Unit with Confidence"
Rhythms and dance are great activities that enable every student to be successful. This session is designed for grades 3-8 and will introduce a variety of activities that give the less skilled an opportunity to work at their own pace. At the same time, the session will show how to provide the higher skilled students to excel in the area of rhythm and dance as well. We will focus on new innovative ways to bring rhythm and dance to your program, including hip hop square dancing, hip hop line dancing, and "Beat Sheets." Please feel free to come and join us and experience renewe excitement to you and your students! Lara Brickhouse's "Behavior Management for Significant Disabilities (including Autism)"
Lauren Lieberman's Keynote: "Creating an Inclusive Physical Education Experience for All"
For years, thoughtful physical education teachers have explored the concept of "Universal Design" in order to provide the most equitable physical education experience for all children and youth. As more and more children with disabilities are being included into general physical education classes, there is a urgent need to determine what variables are at work. This presentation will introduce the Lieberman/Brian Inclusive Rating Scale for Physical Education (LIRSPE) as one tool to evaluate program progress. This valid and reliable instrument can help all teachers be more successful at addressing the needs of all children. Participants will also learn the various ways the instrument can be used to their advantage and how to get it! Please consider joining us for a very special and relaxing Early Evening Social sponsored by our friends at US Games! US Game's "Walkie-Talkie" Morning Walk - Free Pedometers and Drawing for Polar Heart Rate Monitor! Please join US Games' National OPEN Trainers for a fun morning walk. Folks will gather outside the Arena at 7:30. Each participant will receive a free EKHO pedometer and will be in a drawing to win a Polar Heart Rate Monitor and other cool prizes! Dave Senecal's "Great Net Games to Help Students to Learn Skills & Tactics to Be Successful"
Net/wall games can be difficult for many students and teachers for several reasons. For students, it's sometime hard to get involved in games like volleyball where highly skilled players tend to hog the court. Or in games like badminton/tennis, the extension of the arm (racquet) proves very difficult for the less skilled player. Sometime teachers find net games difficult to teach because they lack the equipment and/or space needed to teach effectively. This session will explore small group games that enable the teacher to accommodate large groups in a station or tournament setting. Learn how to enable the learners to progress toward proficiency in a particular skill(s). We have found that skill repetition to be at a high frequency using these game-like situations. Please consider attending this session to add a bit more net game learning for your secondary students. Lara Brickhouse's "Think Outside of the Box and Make It Happen!" Pete Charrette's "Pulling It All Together- Creating a PE Program that SHINES!" Designing a quality, “stand out”, standards-based physical education program is never an easy task and unquestionably requires some thoughtful planning, valuable tools and reliable strategies to make it SHINE for students, teachers, parents and administrators. This classroom-based presentation by Pete Charrette (Cap’n Pete’s PE) will examine a variety of strategies, ideas and solutions that are effective in developing a positive and effective physical education program that “stands out” from the crowd. Pete will discuss and visually examine some of his own methods for engaging students as well as showcasing some of the current PE leaders’ approach to providing quality physical education in the modern age. Techniques will be addressed for effectively establishing class routines, managing and assessing large groups and implementing fun and effective lessons. The presentation will also explore methods for utilizing visuals to enhance instruction and will touch on how we can foster appropriate student behavior during our daily lessons. Chris Walker's "PaddleZlam Fun for Everyone!" An exciting new way to get kids of all ages to enjoy exercising. PaddleZlam combines pickleball, volleyball, and Kan Jam into a very unique interactive sport. -Improves group dynamics, teamwork and participation. -Enhances fine motor skills through multiple variations of play. -Supports math and verbal function through score keeping. -Creates practice plan to improve performance for a self-selected skill. -Describes the speed/accuracy trade-off in throwing and striking skills. -The physically literate individual demonstrates competency in a variety of motor skills and movement patterns. This fun and upbeat activity session, geared for the K-6 student, will be highly engaging, include a mix of music that connects to each activity, and focus on activities that improve competence, increase confidence, boost motivation and add more FUN and enjoyment to your PE program! Concepts of physical literacy will be highlighted AND participants will experience a new and exciting resource; Focus on FUNdamentals, that includes a collection of 90 top-notch, tried-and-tested activities for all ages. 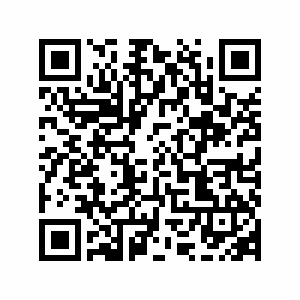 Would you like to network and learn from your fellow physical education leaders? Are you responsible for your school's, district's or state's leadership for K-12 Physical Education? This special block will be used for networking, problem-solving, curriculum sharing, and other assorted topics. While this group will meet daily, participants are free to come and go as they see fit. Michaleh Snider's "Fueling Up Teams with Fuel Up to Play 60"
Need help with nutrition education lesson plans, engaging more students in physical activities or developing strong leadership skills? Look no further. This session will provide hands on materials to engage students in healthy eating activities developed by The Dairy Alliance. You will learn from the expert, a Fuel Up To Play 60 Program Advisor and PE teacher who challenges students to be the leaders, inspire others and take ownership of the program that encourages healthy food choices and more physical activity opportunities at school and in the community. Collierville Schools' "Movement with a Purpose"
Please join us as three physical education teachers from Collierville Schools - Crystal Williams, Richard Muse, and Reggie Summerfield - provide personal stories about how to use the Polar GoFit System at the elementary levels. This action-packed session will provide you with activities and insights so that participants can walk away with the knowledge necessary to obtain, implement, and maintain this program at the elementary grades. Murray Wallace's "So You Think You Can’t Play Rugby?" This activity-based session will assist participants will learn how to implement an effective touch rugby unit in to their PE classes. Suitable for inside or outside and for all students, this lifelong physically active sport has a long tradition of camaraderie, values and ethical behavior. Dale Brown's Keynote: "MVPA: There is More to PE Than Just Getting Kids Active!" With diseases of sedentary behavior becoming increasingly more evident the recommendations for quality physical activity and exercise are at an all-time high. This presentation will provide a better understanding of how to quantify physical activity leading to quality physical education programming. Sarah G-H and Betsey Caldwell's "The PhysEdChopped Challenge"
We are so excited to bring you The #PhysEdChopped Challenge, an “after hours” social event and collaborative competition at #PEInstitute18! Groups of teachers will compete in a three-round contest. Each round will feature a wacky combination of PE equipment. The teams will be expected to use all of the equipment to create a game or activity that fits within the theme of each round. Judges will evaluate each activity based on creativity, use of the equipment, and presentation. Teams will be “chopped” from the competition at the end of each round until one team is named “The #PhysEdChopped Champions at #PEInstitute18!” The #PhysEdChopped Challenge is being supported by our friends at Sportime featuring SPARK, a division of School Specialty. The winning team will win and share all of the mystery equipment ingredients! Railyard Fitness incorporates functional body weight exercises for fitness, sports conditioning and youth fitness. Now you can develop a more challenging, productive and fun way of teaching on the Railyard indoor, portable Obstacle Course. The Railyard Obstacle Course is the perfect product to accomplish the goal of developing the physical skills a young children and youth require to pursue a life of physical literacy with confidence and safety. NC-APE-Advisory Council's "Inclusion in PE - Yes, You can!" Join the awesome APE trio of Megan Davis, Barbara Meleney and Ann Hughes! In this session participants will be shown a multitude of ways to include students with disabilities (even those with significant physical disabilities) successfully in the physical education setting. Through video clips of actual inclusion scenarios and demonstrations of possible adaptations, accommodations and modifications that can be made to skills, activities and games, participants will have an opportunity to see a wide range of real life examples of successful strategies for inclusion. There will also be opportunities to actively participate in inclusive activities and games and experience firsthand how inclusion not only impacts our students with disabilities but often significantly and positively impacts and benefits our non-disabled students as well. Pete Charrette's "Large Group Activities that ENGAGE"
Let Pete Charrette (Cap’n Pete’s Power PE) show you some extremely fun, fast moving and energy boosting fitness-based and manipulative skill activities that are ideal for large group elementary school classes that help students “start their engines” and “develop their skills”. 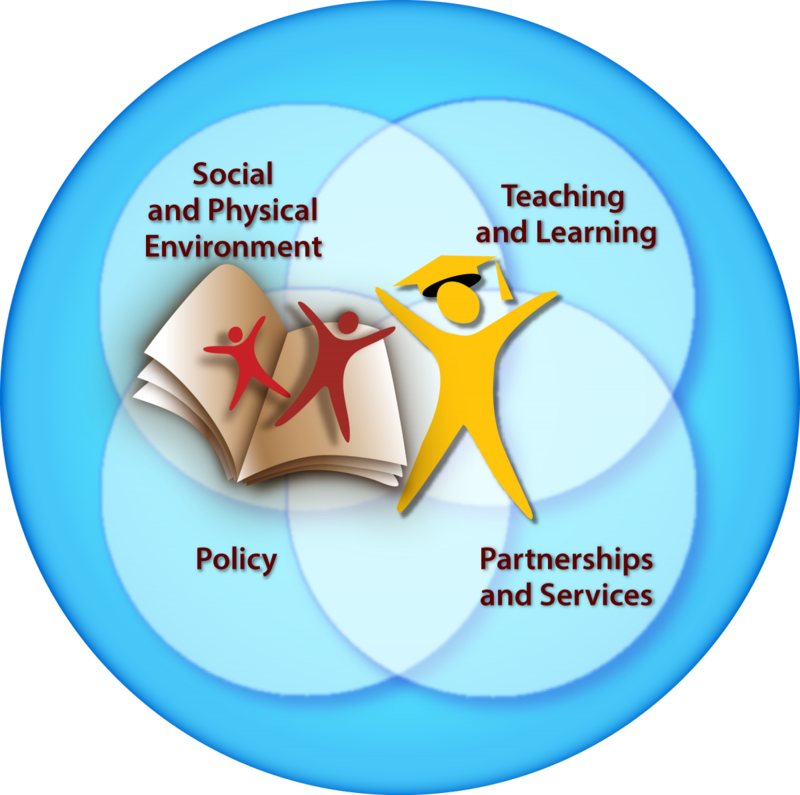 The activities are standards-based and align with SHAPE America’s current grade level outcomes. The session will include a mix of high energy music, fitness-based activity, manipulative skill movement and participant discussion. The presentation will help provide new and experienced teachers with some practical, “cutting edge” movement activities that their students will really enjoy. The activities are non-conventional and fun, giving students new ways to enjoy movement which can serve as a catalyst to lead lifelong, healthy and active lifestyles. The main goal of the presentation is for participants to come away understanding the value of providing their students with non-conventional, fun fitness-based and manipulative skill activities as a method of “engaging” them in their own personal fitness and motor-skill development. Sarah G-H' and Mark Foellmer's "Get FIRED Up! Instant Activities for Middle & High School"
Join us as two of the 2018 SHAPE America Middle School Teachers of the Year combine forces for good! Are you looking for new ideas to get your students active and engaged as soon as they arrive to class? Join this session to learn Mark and Sarah’s favorite instant activities, guaranteed to get you and your secondary students F.I.R.E.D.—Funnersized, Individualized, Revitalized, Energized, Digitized—Up! Jason Leach's "Take PE Home Tubs"
Like most elementary physica education teachers, Jason Leach understands the power of connecting with the families of the children he serves. This session will share an innovative student-parent outreach program called "Take PE Home Tubs," a successful program that allows students to take physical education equipment home to play games and activities with their family and friends. By attending this session, you will be able to understand why this program was started, how it is organized and managed, and the easy-to-take steps to implement a similar program in your school. To learn more about Jason, please view this WFAA TV-8 ABC broadcast. Kymm Ballard's "Show Me the ESSA and Grant Money!" "Show Me the ESSA & Grant Money!" is a session that will focus on grant and funding opportunities for your programs, including the latest on the Every Student Succeeds Act (ESSA). We will also discuss the nitty-gritty on how to write grants as well! The Every Student Succeeds Act (ESSA) is a national law that includes health and physical education as part of a student’s “well-rounded education.” This new federal education legislation provides increased access to funds for health and PE programs (including professional development) and allows states and school districts to set their own priorities for funding and accountability. Knowledge is power! John Smith & Chip Candy's "Let’s Get It Started!" This session will focus on getting classes started with a bang. We will use instant activities, ice-breakers, adventure, Do Now’s, and other FUN starters to hook the class. A good beginning makes it much easier to keep class attention, enthusiasm, participation, and behavior at a high level. The first 5 minutes of class are critical…Let’s get ready to MOVE! Mike Ginicola's "The Power of a Student-Centered Approach Using Responsive Classroom"
This session will examine the positive changes that a "Responsive Classroom" approach can have on a learning environment. You’ll learn about the evidence-based way to model any skill or routine/transition/rule for maximum retention (so awesome! ), including how to start a school year off with long term success in mind. You’ll discuss the impact that words have on students and learn about communication techniques that help maintain high expectations without major conflict. You’ll dive into the power of student choice and voice, and review why a student-centered approach is the key to success for students. You’ll leave with class management ideas, resources and the ability to introduce some of these concepts to your students next week! Objective One: Gain an understanding of the Responsive Classroom approach and learn how to interactively model content. Objective Two: Examine how our words and choice/voice inpact student outcomes. Objective Three: Review student-centered best practices. Mike Lally's "Hidden Allies: Training Classroom Teachers to Integrate Physical Activity in Their Standards"
This session will give you the knowledge and specific lessons needed to go back and train your classroom teachers on how to incorporate physical activity into their standards based curriculum. Objective One: Attendees will have the skills to teach classroom teachers how to manage space, equipment and students in a changing environment. Objective Two: Attendees will leave with the materials to implement lessons upon their return to school. Objective Three: Attendees will see the “win win” of putting this extra work in to get part of your physical education standards into the traditional classroom setting without a product. Pat Vickroy's "Lessons that Stick!" What makes a truly great lesson? What is the core message of your lesson? What is it that you truly want students to know? Answers to these questions will be explored using six ideas, which will ensure that lessons stick in students’ minds for a lifetime. Video clips, short stories, quotes, movement activities and other teaching tools will be used to make this session “stick” with you through the ages, or at least until the lunch bell rings! Mandy Davis' "Clever Classroom Management Tips for Challenging Elementary Students"
Do you have more than your fair share of challenging students? 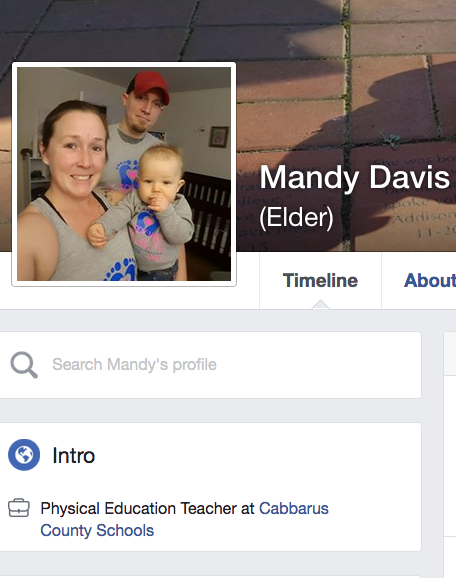 Two time Teacher of the Year, Mandy Davis does! Ever think that perhaps we create "challenging kids" because of our weak classroom management skills? Not that I have it all together yet, but I'm getting better! Come to this session and learn an assortment of tips, tricks, and "magic" to keep more students engaged in your lessons. How do I know? Because over the years I have borrowed these classroom management strategies and they really work for my students. Yeah! VJ Stanley's "We Called It Saturday: The Importance of Free Play, Equal Play and Inclusion "
"We Called It Saturday: The Importance of Free Play, Equal Play and Inclusion" will discuss why just thirty years ago kids engaged in unstructured play outside with their friends for long periods of time. The brain benefited from all kinds of play and activity. These afternoons outside helped the children grow and grasp many complex learning skills from the simple implementation of playing, imagining, and being creative on their own. They had fun. Gary Davis' "Team Building: Awesome Activities for Creating a Positive Class Culture"
This session will help students recognize and demonstrate active listening, communication, self- control, cooperation, and cognitive skills while engaging in “get acquainted activities” with their peers to promote a positive culture during physical education. One Objective: Establish positive culture and cooperation through team building activities to increase social awareness with peers. Objective Two: Participate in “get acquainted activities” with their peers to promote a family oriented environment. Objective Three: Actively engage in teamwork related to nonverbal communication, hand and eye coordination and self- control in order to achieve a common goal. Objective Four: Develop trust, group support and taking a risk that will have a positive outcome. Joe Weaver & Gabe Ervin's "Field Day: A Physical Education Celebration!" Join Joe Weaver and Gabe Ervin, two State PE TOYs, as they provide a fresh look at "Field Days!" Experience building your school community and celebrating positive school culture through physical activity. It’s often a day that all students, staff, and administrators look forward to and enjoy. However, it is a lot of logistical work. If you are looking for help, new ideas or even want to revamp your field day, come check out this session. Participants will have to opportunity to engage in new and exciting activities you students will enjoy while directly correlating with SHAPE America's Physical Education National Standards. John Smith & Chip Candy's "Groups of Three…Class Management." Smooth, quick, transition times are critical to a great, well taught lesson. One way to insure a good “flow” is to do activities with students by number grouping (in this case…groups of 3). This will be a fast-paced session, using skill activities, in groups of 3, with minimal downtime, maximum participation, and allowing multiple opportunities for success, and practice. This is Behavior Management 101, and it’s fun. Mark & Becky Foellmer's "What the Heck are Hyperdocs?" Hyperdocs allow teachers to delve deeply into a concept or concepts using a combination of media accessible from a Google Doc or Slides. Hyperdocs can be used to teach any topic and with a little creativity can include activity. Participants will have an opportunity to engage in hands-on learning via an "activity" hyperdoc on the topic of "Empathy and Inclusion", that is sure to resonate deeply. You'll, also, receive access to a library of pre-created Hyperdocs for HPE and templates for creating your own Hyperdoc lessons. Presented by SHAPE Midwest Middle School Teacher of the Year, Mark Foellmer and his wife, Becky. Feeling lucky? Take home equipment we use for this session via the raffle giveaway at session's end. Sponsored by Sportime featuring Spark as part of the SHAPE Teacher of the Year program. Kevin Tiller's "Imagine That! Theme-Based #PhysEd Activities"
Kevin Tiller will be joining us remotely via Google Hangout to provide the Institute's first-ever virtual breakout session! In his session, Kevin will share how he uses themes such as "Star Wars," to develop developmentally appropriate movement experiences, organize students into learning groups, create rubrics and assessment, and other planning tips. Kevin is the 2017 Massachusetts Elementary PE TOY and creator of the PhysEd.Review website. Judy LoBianco's "Moving into Our Future: Moral Courage"
Join SHAPE America President, Judy LoBianco, as she continues to promote her passion for elevating the profession through the "Power of Moral Courage!" Determine the Ambrose "Braz" Brazelton "Heart & Soul Award,"
Give our last goodbyes and hugs! !